Any buildings and structures controlled by the Armed Forces, Gendarmerie, Ministry of Defense, or National Intelligence Organization of Turkey. Military airfields, landing strips and the signal markings on them. Railway stations on military bases. Any manufacturing, technical, or administrative buildings/territories related to companies that have dealings with the military-industrial complex (Aselsan, Roketsan, etc.). Buildings and territories related to civil defense (shelters or other buildings used to provide safe accommodations to the civil population during a natural disaster or other emergency situation). Coast guard buildings (signaling structures, military lighthouses, rocket defense squadrons, etc.). Pipelines (including oil, gas and water pipes), transmission lines and other structures related to energy transmission. Items that mark state borders, including permanent or temporary fencing, barricades or barriers. This ban not only concerns posting images of the items listed above and their components on Yandex Map Editor, but also entering their categories, types, coordinates, names, numbers, or other identifiers. Write all words (other than linking words) in names of items using uppercase letters. These items (not municipalities) get the “City” status. You can not link daughter items to them. 5-6 семпты, мевки, мезра, яйло If the named territory takes up all the blocks of a development, then draw it as a level 4. Write the types and names of administrative divisions for municipalities, blocks, and named territories, as well as areas of development that have the same name as municipalities. The type for the names of Mahalle administrative-territorial units in Turkish is written in abbreviated form:Mah. If there is only one entrance in the address of the apartment building, this entrance is not drawn. 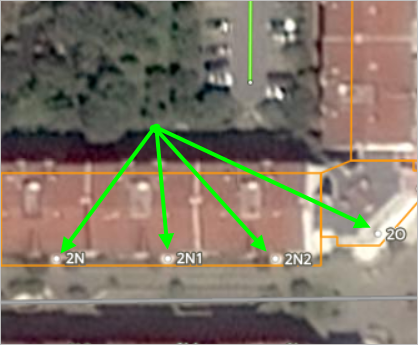 if blocks and apartments belong to a different parent object, they are created as an additional address point of the parent object for the block or apartment. The type in the name of the road in Turkish is written abbreviated (if there is a common abbreviation, see below), the full version can be added as the type name. “synonym”. The proper name of the road is always written at the beginning, type ─ at the end of the name. Translate the “Yanyol” type as “frontage road”. These types of roads are assigned the Doubler attribute value3.3.2.7. Design features. All roads are linked to whatever division of level 4 or higher completely encompasses them within the smallest possible area. Furthermore, level-4 roads are only linked to administrative divisions that are Municipalities. It is forbidden to draw speed cameras in Turkey. In addition to the proper names of stops, enter the operator that services them for all types of transport. Official — the line where the station is located and the proper name and type of the station. For caption — the line where the station is located and the proper name of the station.